Mooneye Studios, a German-based video game company, will be releasing their dream project, Lost Ember, this upcoming July. The project found its start on Kickstarter.com, back in 2016, and is finally nearing the end of production. Lost Ember is a story-driven, open-world adventure game in which players will explore a breathtaking realm through the perspective of various animal species. At this time, humans have long been forgotten. Their civilization lies in ruin, and nature has since reclaimed the post-apocalyptic land. In order to uncover the secrets behind the fall of the old world, players will investigate these remaining ruins, and discover fragments of memories left behind by the humans. Only by piecing together these memories can you discover the truth. 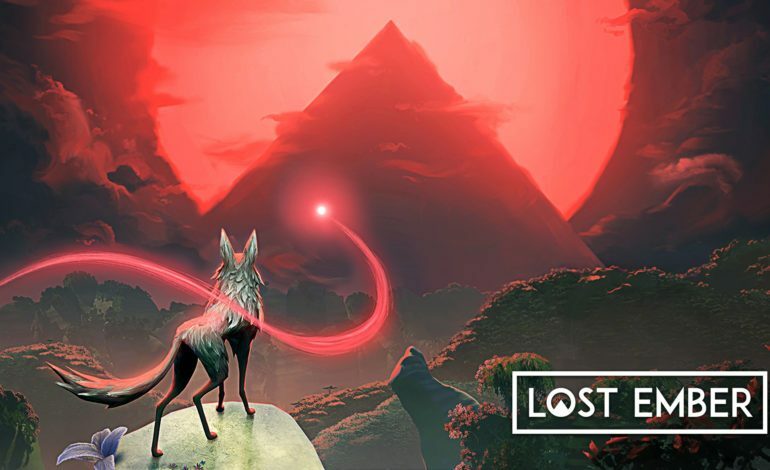 As a wolf with the power to inhabit and control other animals and with a trusted companion at your side, you’ll discover ruins of long-forgotten civilizations and ancient cultures that tell a story of hope, loss, ambition, and failure. Players will take possession of all types of wild animals, making use of their different abilities, in order to fully explore the game. Switching control allows for more opportunities to explore and find memories hidden in the world. Soar the skies with the birds. Delve deep into the seas among the fish. Even burrow underground with the moles. Secrets can be hidden anywhere, and there are endless ways to travel. Pre-orders are currently only available for PC players. There are two digital editions to choose from, the Digital Game Edition and Digital Plus Edition. The first version will include a copy of the original game as well as extra Karma Points. In addition to the content of the Digital Game Edition, the Digital Plus edition will include a copy of the game’s digital soundtrack, a PDF collection of the game’s concept art from prototype to the final project, and additional karma points. Karma points can be used to unlock special rewards for supporting the game. Points can be earned from actions such as sharing the game’s trailer with friends or pre-ordering the game. The rewards range from exclusive background art, additional animal characters, and new skins. There is also a Beta Key reward which allows fans the opportunity to try the game before anyone else and give feedback. Beta Keys are limited, but you can check out all available karma rewards here. Lost Ember launches July 19 for the PC, Xbox One, and PlayStation 4. Availability for the Nintendo Switch is expected to arrive shortly after, according to the trailer. The game will also be playable in VR, thanks to its dedicated fans. The Mooneye team says, according to the game’s homepage, that they have already tested the game on HTC Vive and Oculus Rift, and are looking into PlayStation VR. More information on the VR progress will be released in the future months.